This is Timothy. What is he doing? Oh, I see. 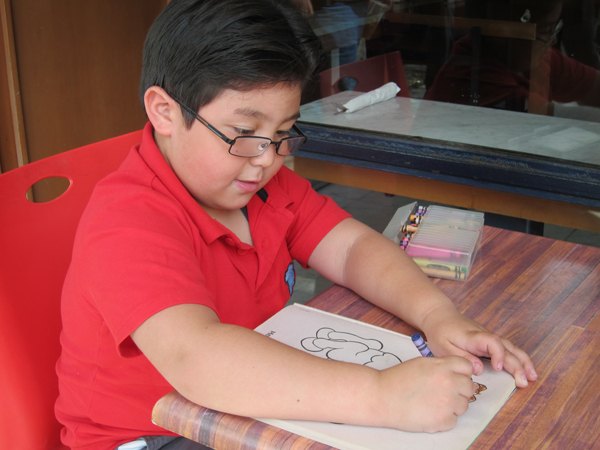 Timothy is using crayons to color something! 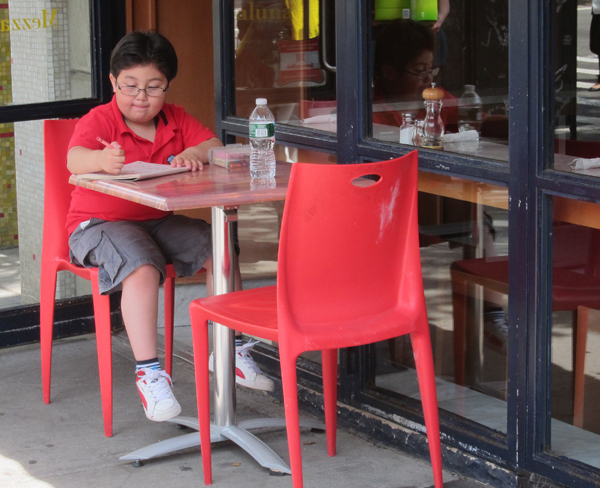 But what is he coloring? Look! 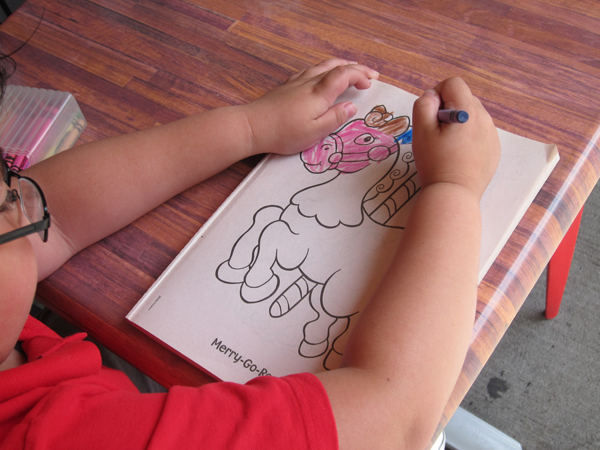 He's coloring a carousel horse in a coloring book! The horse has a pink face. Wow. 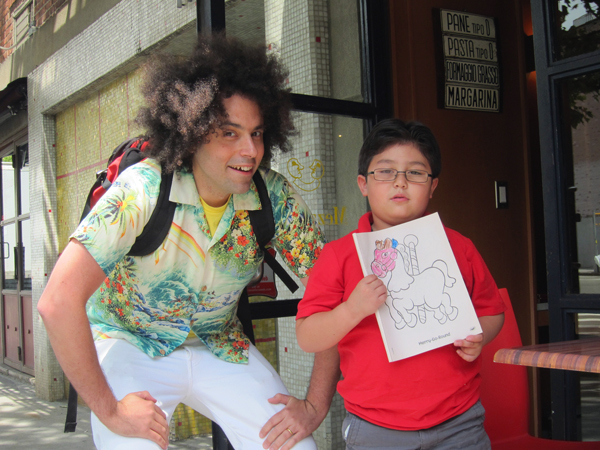 This is me posing with Timothy and his coloring book. I wonder what it's gonna look like when he's finished.